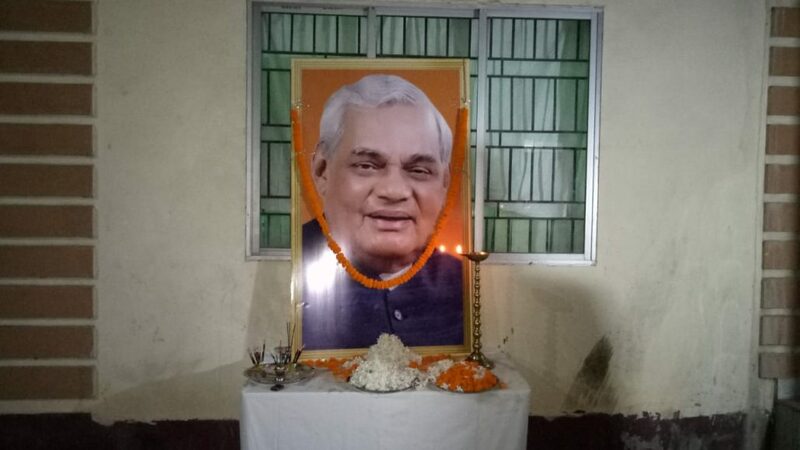 The demise of former Indian Prime Minister Atal Bihari Vajpayee has been mourned at the Assam BJP head office at Hengerabari in Guwahati on Thursday evening. Minister of State Irrigation (Independent) Bhabesh Kalita recalled the days under the leadership of Atal Bihari Vajpayee as Prime Minister. State BJP spokesperson Rupam Goswami, State BJP general secretary Dilip Saikia along with other BJP activists paid homage at the photograph of the former Prime Minister.